When Do You Need An Attorney For An Injury Claim After a Car Accident? The rate of auto accidents in the United States is staggeringly high. There are too many drivers on the roads that have tendencies toward aggressive and distracted driving. However, the fact that car accidents are common does not mean that they are harmless. Auto accidents can be very costly, now and in the future. In the state of New Hampshire, victims of car accidents have legal options, but at what point exactly do you need an attorney to file a personal injury claim after a car accident? 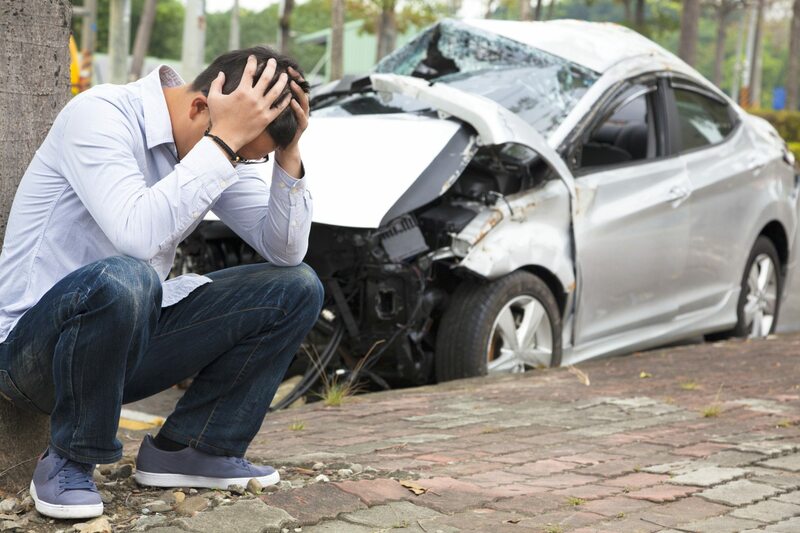 It is common to have a difficult time with insurance companies after a car accident. Insurance companies often deny claims and refute the charges against at-fault drivers. For that reason, it is absolutely crucial that you follow the proper steps, after your car accident, to ensure that you will receive the compensation that you deserve. If you have any questions about your legal rights after you have been injured in a car accident, do not hesitate to contact our experienced New Hampshire car accident injury attorneys. What Steps Do I Take Immediately Following a Car Accident? There are some very critical steps that you should take immediately after a car accident. Some of the following steps may seem obvious, some may not, but it is important that you protect yourself. Contact an experienced injury attorney – If you have suffered an injury in a car you should immediately contact an experienced personal injury attorney at Tenn And Tenn, P.A. Contact the police – In any car accident, the police must be notified of the accident and when authorities arrive, it is vital that you get your side of the story into the police report, especially pertaining to injuries. Exchange information – It is important that you obtain and exchange the contact and insurance information of the other drivers involved in the accident. In addition, if there were any witnesses to the car accident, you should also obtain their contact information as well. Take photos – If you have the ability to take photos using your cell phone, or any other type of camera, capture photos of the crash, such as any damage to the vehicles involved, the positions of the vehicles involved, and photos of your injuries sustained. Seek medical attention – Even if you think you may not have suffered any injuries, you should still without a doubt seek immediate medical attention. With car accidents, there may be underlying injuries that are not immediately obvious to you because of shock, adrenaline, or lack of knowledge. Further, official medical records are usable in court to show the extent of your injuries suffered. Take notes – It is easy to forget details as time passes. Start taking notes as soon practically possible after the car accident. In addition, you should diligently keep a journal documenting how your injuries have affected your life. Keeping a journal is an asset if you are trying to pursue damages for pain and suffering. Notify your insurance company – Do not forget to notify your insurer that an accident has occurred. Ultimately, you need to contact an attorney as soon as practically possible after the occurrence of a car accident. The skilled and dedicated car accident lawyers at Tenn And Tenn, P.A. will be with you every step of the way for the claims process. It is our job to hold at-fault drivers accountable for the damages they cause. Call us today at 888-511-1010 for a free and confidential consultation about your case.